EXCEPTIONAL townhome in WEST CHASE/ CITRUS PARK! Come see this recently built 3 bedroom, 2 and a half bath, 2303 sq ft townhouse, with a 2 car garage and a loft in the gated Terracina community. This property is basically brand new as the owner only lived it in while their new home was being built. The kitchen is beautifully done with eye catching cabinets and granite and several upgrades such as an upgraded appliance package, under cabinet lighting, and subway tile backsplash. The size of the master suite is astonishing, and you will love getting ready every day in your oversized, gorgeous master bath. Upstairs you will find a loft perfect for entertaining, two giant bedrooms with walk-in closets and views of stunning conservation land. But the things that will truly stand out to everyone, are the custom closets in all the bedrooms and downstairs storage area. This is also one of the few units with a screen in patio. 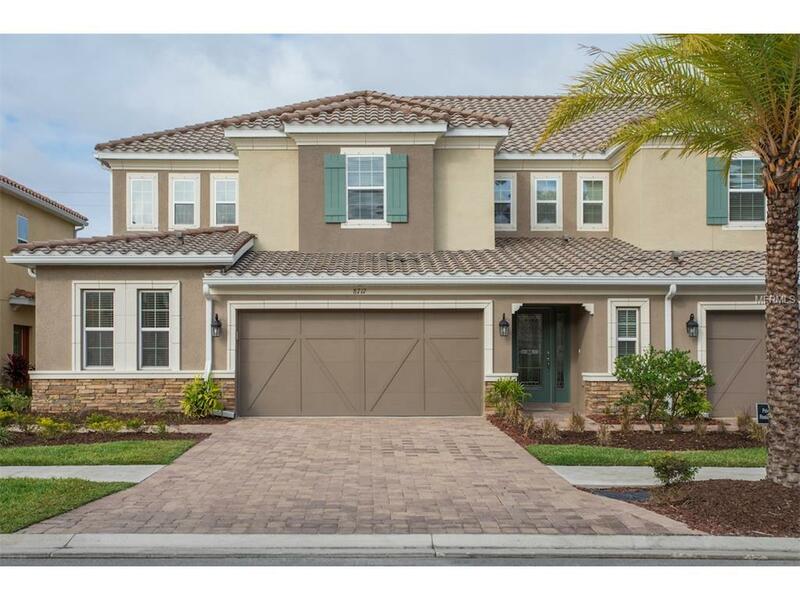 The Terracina community sits conveniently in the heart of one of the most desired areas in Tampa. Less than a mile from the Citrus Park Mall and local dining, only 15 minutes from Tampa International Airport, and only 30 minutes from some of the best beaches in the world, why would you live anywhere else? Call us today for your private showing!